You see, in several of my articles I have mentioned the fact that Samoa has a weak intellectual infrastructure. It is visibly reflected in several areas of our economy. To mention just a few: Agriculture, Education and Health. The performances of the individuals elected to serve as C.E.O. and A.C.E.Os are far from satisfactory. Why? It’s simple; we do not know how to choose the more qualified applicants for these responsible positions. It takes science and highly selective thinking. To screen those so-called in the short-list a panel of some sort is going to decide who is “the best” of the applicants in front of them. Their final decision (good or bad) will affect the country’s development, sooner or later. Remember people’s action (especially the leaders) make or break a country. Just like in marriage or parental guidance. To start with; are those panelists experts in the area under consideration while interviewing the candidates? I doubt it. In fact, I had in two occasions questioned by those so-called panelists, expecting hard, relevant questions. I waited in vain, and I was disappointed; for I was prepared for them. To add insult to injury those selected are put to work right away. No training whatsoever. When I worked for the U.S.D.A./F.S.I.S. I was trained for six months before I could inspect food plants. My decisions were not concerned with economics but people’s health. The whole thing starts with the announcing of a vacancy. It says loud and clear: selection would be based on education and experience. Do all the applicants have education and experience? Of course, they do. They all have. So, what is the relevant factor in those two conditions? No relevant factors. So how do the panelist choose “the best”. It beats me. Are recommendations from some higher-ups and matai titles tilting the scale in favor of those? Perhaps. This is a small island, where everybody knows something about everybody; therefore some people know already who are the ones who are going to be hired. Renewal of contracts is easier than going to the process of choosing someone better. It is like in the store, it is easier for the employee to say: “we are out of that” rather than look around. If I want something, I always ask the owner, he knows better. I have also found out the different pricing for certain items: 12 talas for the same medicines and 56 tala for the same stationary items. And this price difference, mind you, is in Samoan owned stores. Another factor is: there is no performance review at any time during their three year contract. Even if it does take place, who are the reviewers? hose members have no business meddling in the affairs of the government if they have no merit to form part of those boards. Are they putting their money where their mouths are? Now, why the P.M. is considering removing the power of the P.S.C. as far as hiring and firing bureaucrats is concerned? My mother, a teacher all her life, used to say: “common sense is the least commonest of the senses.” It is perhaps his common sense tells him that their function of hiring (supposedly the “best” candidates) those who they chose in the first place, were not driving the country forward? Facts speak louder than words. Has the government ever considering a good reward to the best C.E.O. based on his/her ideas, initiatives, and imagination, innovation that has made a difference in their place of work? Not in my 14 years that I am living in “paradise”. Routine work is the name of the game, day in and day out. Why bother thinking big! Any thinking individual will attribute the progress of a country to the higher level of performance of those responsible for crucial state of development. Sure, we are only human, we make mistakes; nothing wrong with that; in fact it is part and parcel of anybody’s life. Any successful person will tell you that. But, the less mistakes we make, the better off we are. 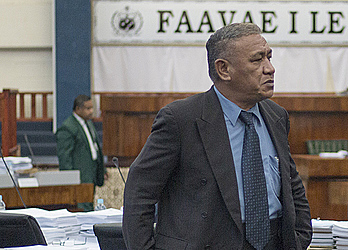 So, why is that the Manu Samoa who made 10 mistakes, did not learn from them? How about those “innocent inmates” coming out of the Tafaigata “hotel”? Yet, still some people believe they can learn from their mistakes. But, they can’t explain how. If you can, let me know. Just like people thought for thousands of years that the earth was flat, static and was the center of the universe. Psalm 94. Here is what the P.M. said about that; “One of the most important aspects of the changes is looking at hiring employees who are knowledgeable based on their educational background, at the same time their working experience.” This way of thinking deserve some clarification. As far as anybody can remember vacancy announcements require a C.V. (the term is wrong, it should be résumé) enumerating, like a grocery store listing, all the jobs he/she had. Irrelevant info., you know why? Everybody knows what an accountant, doctor, teacher, plumber, etc., does in a job. Why recycle all when a busy executive can’t bother going thru all that unnecessary wording. What he/she expect in a new employee—listen to this-- is somebody who can help him/her improve his profit, solve his problems, and compete successfully with others. And who are those, among his/her new hire to overcome his/her expectations? Only those candidates who have excelled in their previous jobs and are ready to confront the problems of their new employers, and get paid for it. Employers who do not know how to hire, are TNTC (too numerous to count). In my twice a week walk around town I have observed critically those businesses ready to fold out. Why? They hired the wrong people. As simple as that. Same thing happens when countries elect a wrong president/ministers What happens at the level of a business happens at the level of a country. Filling vacancy, for the sake of just filling them, anybody can do it. That is what the P.S.C. has been, or is , doing. The hiring, especially of responsible positions, should be left to the professionals. I have said that before. And who are they? : professional interviewers, psychologists, business experts in their field, analysts, statisticians, human resource managers, etc. They tend to choose the best qualified candidates, not the mediocre. That is why one of the best architects, Frank Lloyd Wright, never bid on anything, because he did not want to compete with mediocre architects. Take the U.S.A.. All the federal jobs (about 2.5 millions federal employees) are handled by the so-called: Office of Personnel Management. OPM. they figure out how good you are on what you do, and they place you there. Review your performance once a year, and let you go if you can’t keep up with the system. That is why the U.S. is way ahead of China, who rely on stealing what the Americans invent. Education is important, no doubt, so, what is education? “Education is simple the acquisition of information and an indication of the ability to make such acquisition.” So says Dr. Berg in his book: The Great Training Robbery. That is why some inexperienced youth and with no coaching in choosing a career say: “I want to be a doctor” and they go ahead pay the fees and become a doctor or anything else they have desired to be. Have they chosen their career based on their born skills, talent and abilities, plus past experiences.? Who knows, only time will tell how happy or unhappy are with their chosen career. Also the P.M. says: “…at the same time their working experience.” This referring at who should be hired. So, what is experience? It is not a repetition –most likely- of the same thing you are doing day after day, year after year? Hard to make a decision? Not at all. You choose the one who’s past achievements match those problems that the employer try to solve. Those who don’t follow this common sense principle; sooner or later problems arise in their business because of their bad choice. People should be hired based on their potential and abilities. Why? It is self-explanatory. A problem solver, if you please. Employers should choose the best, wherever they come from. He (the P.M.) also says: “Most of the daily issues can be tackled utilizing common sense.” Is that so! If that is the case, why the government does not use common sense in beating corruption, poverty, lack of basic necessities for the Samoan villagers and so on? Lack of care, intelligence or both? Think on those lines when you vote my good Samoan citizen. Don’t be bribed by a sack of rice, a box of chicken and/or 50 Tala. Common sense to the rescue! To finish. There are two certain things in life: death and taxes. Yet, some people do not accept the latter. Bible apart, we all must. Besides, the country needs more Agriculturists than Theologians. Amen.